La Trobe College Australia offers another way into La Trobe University ranked in the top 1.4 per cent of universities worldwide (QS World University Rankings 2017). 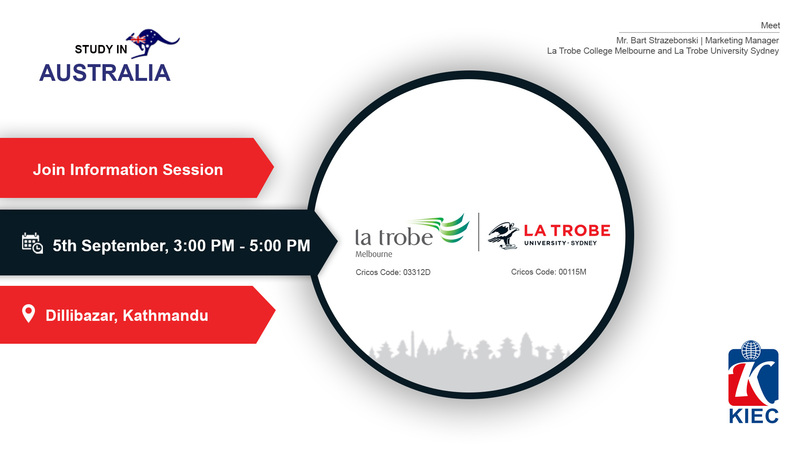 You can study Diploma level in La Trobe College and get entry into second year of Bachelor’s degree in La Trobe University Sydney & Melbourne. where you can study in small class size. La Trobe University Sydney offers many Undergraduate and Postgraduate courses with scholarship. You can study at one of Australia’s leading universities in new state-of-the-art campus, officially opened in 2017. Located in the center of the city’s business precinct, the Campus is close to part-time work and internship opportunities, and is just minutes’ walk away from major transport hubs, shopping centers and the city’s world-renowned icons.